At Meadlands, all of our children are authors. We are passionate about creating a learning environment that inspires, enthuses and strengthens these author’s voices; leaving the children with the confidence and skillsets they need to succeed. We believe that writing is, first and foremost, a purposeful and creative tool. Our lessons are driven by providing this purpose through imaginative contexts; it is here where children can not only be innovative through their language choices but also refine their use of grammar, punctuation and spelling strategies. These contexts do not just feed the imagination, they also ensure that children are applying the grammatical constructs of writing in a more genuine way. This will ensure that all our pupils are empowered with lifelong skills; ones that can be applied to any educational or career route our children choose to one day follow. A recent whole school review recognised how structured talk, classroom displays and feedback through marking supported pupils’ learning. We take pride in ensuring that children are challenged and supported through the developing stages of the writing curriculum. 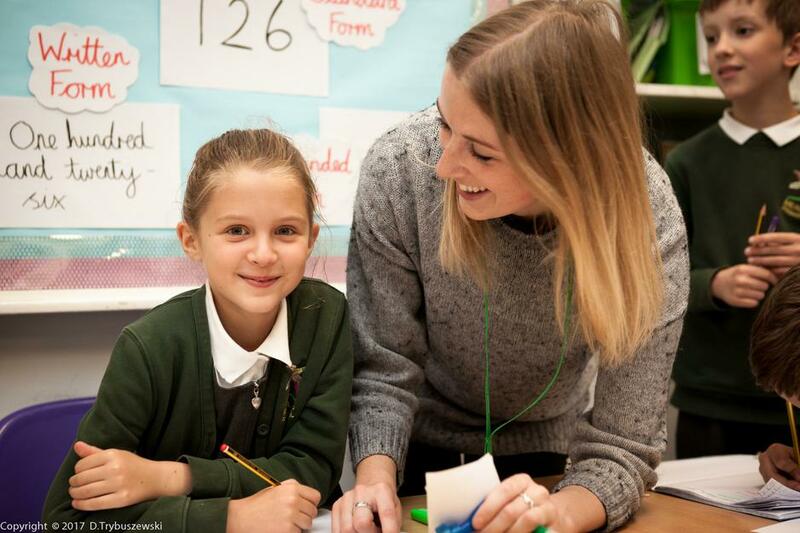 This progress is monitored regularly and children are provided with the support they need to achieve their best; examples of this may include phonics interventions, within class support, 1:1 pupil conferencing or handwriting interventions. The effect of this is reflected in our Key Stage 1 and Kay Stage 2 results, which have consistently been above national average. Children’s hard work and perseverance always pays off! Those children who have consistently maintained a pride in the appearance of their work will be awarded a handwriting pen. This decision is made by Miss Orson, our subject leader, on a Friday morning. Our writing, spelling and handwriting policy is currently under review, a link will be posted here shortly. 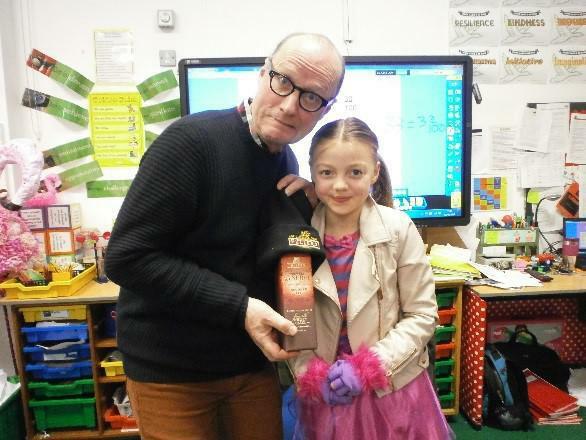 Over the Easter holidays, children took part in a story writing competition. The entries produced tales of mermaids, chocolate buttons, ninja agents, chimps, ladybirds, vampires and even a duck who tried to steal McDonalds! As well as this, children were asked to design a Roald Dahl writing shed that will be built in our wildlife area at the end of this academic year. Children’s achievements in writing are celebrated within every classroom, through a ‘Star Writer’ display. These are update regularly and recognise children’s efforts as well as inspiring others to do the same. At Meadlands, reading is more than a curriculum subject; it is a way of life. Reading for pleasure is at the heart of everything we do, for we believe, and the research backs us up, that a child who reads for pleasure will be more successful in all aspects of life. It comes as no surprise that reading permeates our whole curriculum. The key areas for the discrete teaching of reading are phonics in Key Stage 1 and guided reading in both Key Stage 1 and Key Stage 2 but reading is a golden strand that runs through all of our subjects. In June, the children in Year 1 are tested on their phonics in a national phonics screening check. Our school results are listed below together with the national results. Monday: Pre-reading a chapter of the set book to discuss with their teacher the next day. Teachers are encouraged to read books rather than extracts of text as it gives a purpose to the sessions and also introduces the children to new authors. Tuesday: Discuss the chapter with the group and their teacher. The teacher will have prepared questions to discuss and particularly in the older year groups, it can have the feel of a book club. We believe that children can often find reading out loud in front of their peers difficult and we don’t feel that it enables the children to make progress in their reading. Therefore, the teacher will hear the children read independently from the book while the other children are reading quietly. Thursday: Children will be given a reading based activity, such as a comprehension. Friday: Every group gets to read for pleasure where they have 30 minutes to read their own book. Meet some of our Poetry Slam 2018 finalists! Following on from a collaboration between the Rose Theatre in Kingston and our Year 4 children, the class studied Macbeth. They were inspired to create a dualogue in the style of a graphic novel. What is R eady Steady Read? 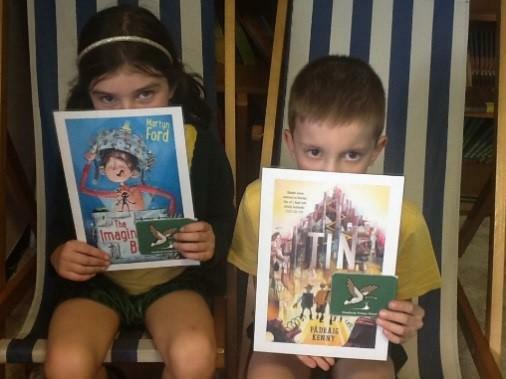 Ready Steady Read is a half termly reading competition for the whole school. Our Junior Leadership Team Reading leads (left) often choose the books. Each class is assigned a book that they are encouraged to read independently but they are able to choose the book from any year group. There is a half termly draw where przies have included tickets for the Roald Dahl museum and book tokens and if a child has read one book from the list every half term then their name is entered into a grand draw at the end of the year. Our children also organised a whole school book swap! Poetry Slam has quickly become a firm favourite at Meadlands. This year we celebrated the centenary of the Votes for Women. 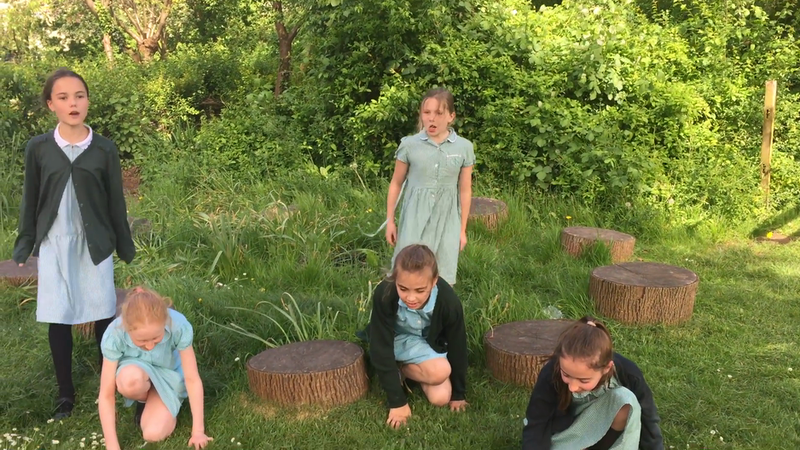 With the support of our LAMDA teacher, Louise Lipton, poems are chosen for each class and children are invited to choose a poem to perform individually or in a group. The finalists perform in front of the school and a judging panel. It is always a very exciting, fun and often emotional fternoon. Every class in the school is represented.